The share of logistics sector in the economic growth of India has never been more compelling. A robust logistics sector can go far in boosting India’s quest for being a manufacturing giant. However, the fact that the growth of any sector is highly dependent on and can be propelled by proper government measures and apt technology cannot be denied. Logistics and transportation has been the holding pillar for pretty much every business structure over the world since the ascent of the economy. India is at the cusp of digital revolution. There has been an incredible headway in the technology being adopted in the nation for advanced digital payment ecosystem in the toll and travel sector. Thus, when the Ministry of Road Transport and Highways (MoRTH) decided to embrace the cutting edge innovation in national highways for toll charge collection, the decision was considered worth plausible. Tolling-related technologies have picked up momentum in the present scenario. This is for enabling the acceptance of digital payments in lieu of physical cash at toll squares. With accentuation on implementing an effective and efficient toll collection framework, electronic toll collection (ETC), with FASTag as its brand name, emerged to be a key solution in enabling an efficient, fast and cashless payment option for collection of toll charge. Presently, FASTag adoption is voluntary. However, the impressive and organised system it brings to the table has compelled people to jump on this bandwagon. In a bid to make India cashless, the benefits to be reaped from FASTag are truly tremendous. Affixed on the windscreen of the vehicles, a FASTag enables one to drive through toll squares non stop. And with it, there would be no need to stop for cash transaction. 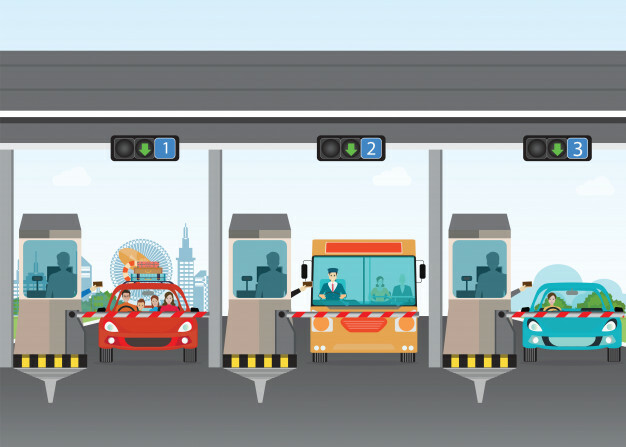 By employing Radio Frequency Identification (RFID) technology, it makes toll fares payment possible directly from the prepaid accounts linked to it. FASTag thus helps in quickening passage through the toll barriers and aids in avoiding the use of cash. Long queues of vehicles waiting and honking while cumbersome cash exchanges occur at the counter can be therefore avoided. Here, it also helps in reducing fuel wastage and emanating pollution due to long waiting times at the toll plazas. A successful implementation of Electronic Toll Collection system on all the major national highways would help save approximately 87,000 crore INR annually. The statistics come according to a study conducted by the Indian Institute of Management, Calcutta and the Transport Corporation of India. There would be no need to carry cash for toll fare payments henceforth. The FASTag is valid for a period of 5 years after the initial purchase. Various options like debit card, credit card, NEFT/ RTGS, and even net banking are available for recharging FASTag online. SMS alerts are also issued to the user on payment of toll fares or when the balance becomes low. With a view of promoting FASTag, a scheme of 10% cashback is being made available on all toll payments using it. KYC documents such as PAN card, Adhaar card, Voter ID. In April 2013, the first ETC was set up in Mumbai-Ahmedabad interstate highway with six toll plazas and 3 logistic suppliers. FASTag is by and by operational at more than 275 toll booths across national and state highways. The ‘Active Toll Plazas’ list gives a rundown of such toll squares. The list is accessible on the concerned banks website and on other internet resources as well. Next Post Next post: How Can Telematics Grow Your Business?